The Lake Louise and Banff region offers some of the most exciting and adventurous whitewater rafting trips. 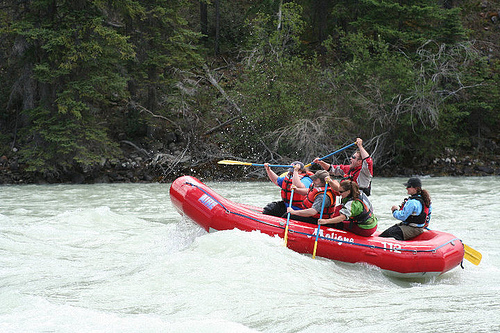 Our Kicking Horse River rafting trips are indeed wild and fun for everyone. Discover the Kicking Horse River in Banff, or do some Kananaskis whitewater rafting on the Kananaskis River. Traveling to Jasper, Alberta? Jasper whitewater rafting isn’t far from you, either. Our rafting companies below will provide you with that adrenaline rush you will never forget. Whitewater rafting on the Kicking Horse River near Banff/Lake Louise, Alberta in Canada will be a vacation experience you will be talking about for years to come! Our rafting company is located near Banff National Park, Canada’s most exciting travel destination. We are the exclusive rafting company for trips in Yoho National Park and the famous Kicking Horse River. Daily trips are available from mid-May to mid-September for first-time or experienced whitewater adventurers, families who enjoy outdoor recreation and those seeking a milder white water rafting experience in the Banff area. For your convenience, rafting trips depart daily from Banff and Lake Louise throughout the summer months. For the most up-to-date and accurate information to plan all of your Canadian white water rafting vacations in Alberta and British Columbia, including the popular Kicking Horse River in Banff and the Athabasca and Fraser Rivers in Jasper, check out these official Banff and BC Rafting Associations. The Banff Rafting Alliance knows whitewater rafting Banff, Canada is high on your bucket list. So it has all the top information to lead you on your way to Banff National Park to raft the raging Kicking Horse River. And just a short ride from Banff, the Kananaskis River is the choice river for those coming from the Banff-Canmore area. Kananaskis whitewater rafting is a great choice for families and beginners. Call 1-800-519-4770 or Click here for more information. 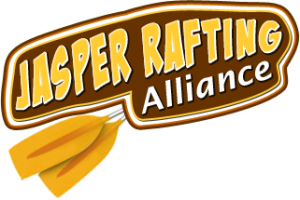 The Jasper Rafting Alliance has the best information about the beautiful Canadian Rockies in this region of Alberta. The Athabasca, Fraser and Sunwapta Rivers–three of Jasper’s amazing rivers–provide whitewater rafting day trips and multi-day Canadian rafting tours that are fun outdoor adventures for individuals, couples, families and groups. Call 1-888-241-2129 or click here for more information. Want to go to Alberta, but not sure where the best whitewater rafting spots are? 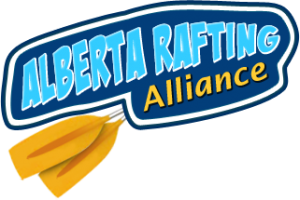 Head to the Alberta Rafting Alliance! Find out how to plan all of your whitewater rafting vacations to Jasper, Banff, Calgary and more! The Alberta Rafting Alliance can take you to the Kicking Horse River in Banff, Canada’s most famous whitewater rafting river and home to some of the Canadian Rockies’ best rafting and float trips, as well as the Kananaskis, Athabasca and Sunwapta Rivers. Call 1-403-774-7215 or click here for more information. Got a couple of days? 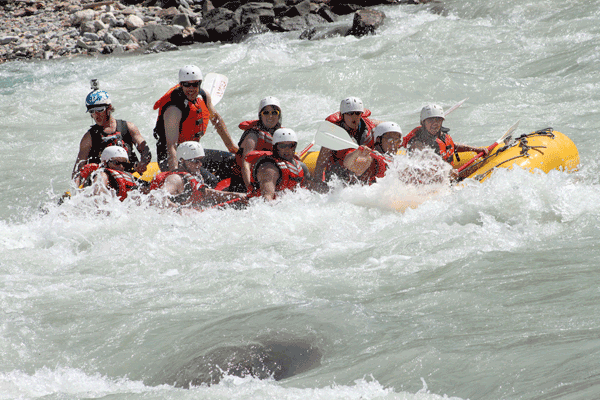 Multi-day Banff rafting tours are for the adventurous rafter vacationing in Alberta, Canada. Two-day rafting trips through Alberta and British Columbia are great for family vacations, and full-day whitewater rafting tours can accommodate groups of 12 to 100, ideal for school, church or business groups. Call or e-mail us to learn more about group rates. Call 1-888-302-1117 or click here for more information. The BC Rafting Association offers a complete guide to whitewater rafting and recreation in British Columbia. Excellent whitewater rafting trips on the famous Fraser River and the Thompson River await you in the beautiful province of British Columbia. Find a wide range of BC rafting vacation opportunities, including trips perfect for friends, families and corporate events. Feel the rush of adrenaline on your next vacation to this region of Canada. There is nothing like whitewater rafting BC and Alberta’s Kicking Horse River. Friends of The Kicking Horse River is a local Banff, Alberta group here to promote whitewater rafting while protecting a river that is vital to the provinces of Alberta and BC and to Canada. Great rafting across the border! Get the most out of your Rocky Mountain vacation and try some American rafting. Traveling to Durango, Colorado? You won’t go wrong by booking a whitewater rafting trip on the Animas River with us! Check out our sweet class II whitewater rafting web cam, featuring rafting on the Animas River, and learn how to make your Durango, Colorado whitewater rafting experience one to remember. Call 1.888.204.4412 or click here for more information. Raft Colorado Rivers in your Colorado destination of choice, be it Durango, Pagosa Springs, or Telluride. Use our handy app to sort Colorado rafting opportunities by class, location, and river! 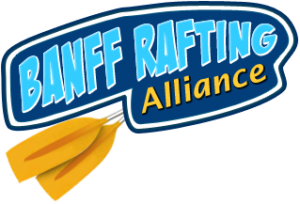 With lots of Colorado rivers to choose from, you can’t go wrong with the Colorado Rafting Alliance. There’s nothing quite like California whitewater rafting river trips. With competitive group packages and family packages on whitewater rafting on California rivers such as the South Fork of the American River and the Tuolumne River. California whitewater rafting with passionate guides–that’s the Adventure Connection. Click here for more California whitewater rafting. Click here for more whitewater rafting information. Book Banff, Canada Winter and Summer Activities with Banff Adventures. 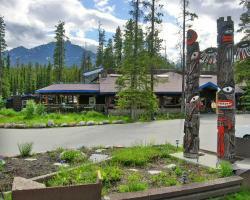 Get great deals on lodging in our newly renovated rooms & cabins surrounded by Jasper scenery. 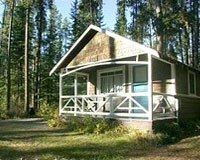 The Johnston Canyon Resort is the best way to enjoy the breathtaking beauty of the Canadian Rockies in beautiful Alberta. A Jasper hotel offering family friendly accommodations in the Canadian Rockies with landscapes that will capture your heart. Comfortable lodge located in Lake Louise, nestled in a pine forest with tremendous views of Mount Temple and its summit glacier. We are the premier provider of trekking, mountaineering, and rock climbing in the Canadian Rockies. Experience the beauty of the Canadian Rockies on an ATV Tour. Or have fun Ziplining in Banff, Alberta! 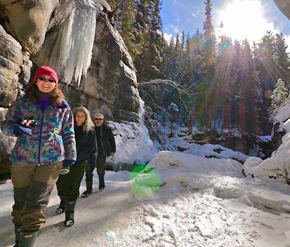 Join us on the three-hour Maligne Canyon Icewalk, where you will discover frozen waterfalls & elaborate ice caves! Raft the exciting Sunwapta or the Athabasca River, or try the Fraser River in B.C. Raft Jasper! Discover Lake Louise is published by Discover Lake Louise and has no affiliation with any government or provincial entities. All content on this site is copyrighted. This site is designed and marketed by Discover Lake Louise. To contact us for advertising please click here.